What is a Service Concept? One of the central models of the Service Automation Framework is the service concept. 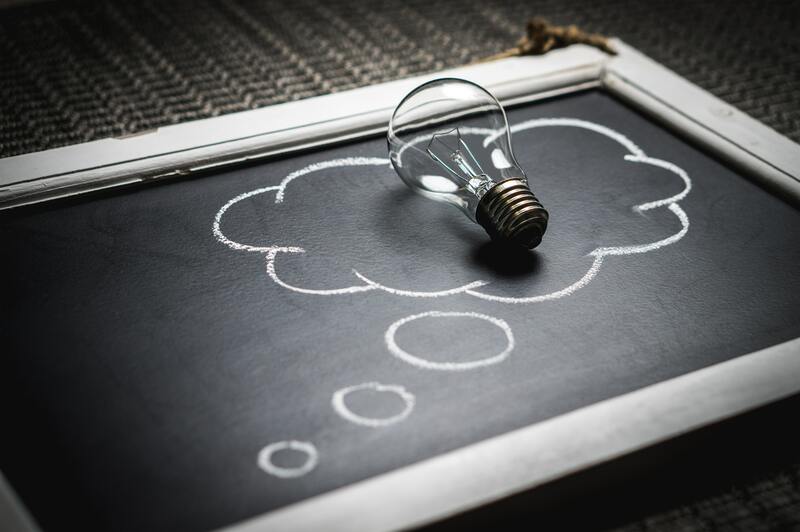 In this post we explore the use of a Service Concept in further detail, and why it is important to understand what the Service Concept of an organization is. 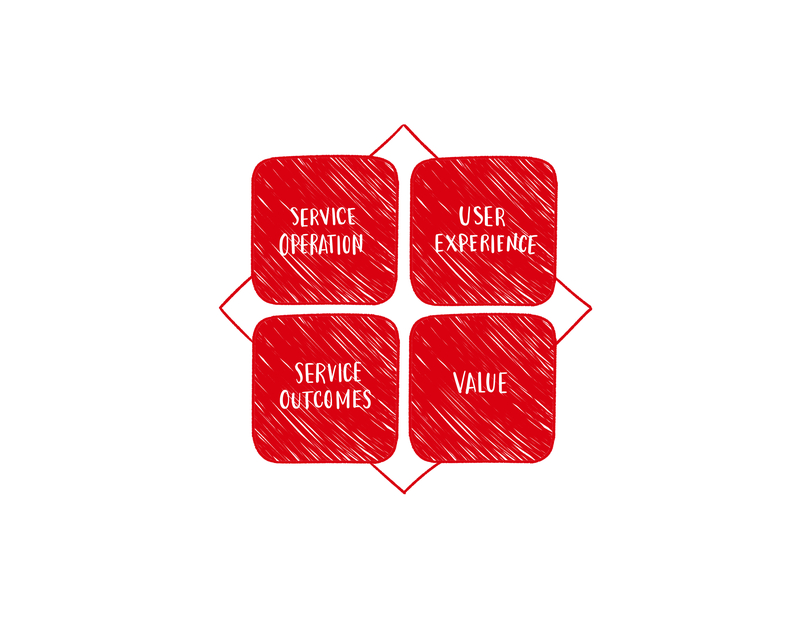 The service concept outlines how a service provider can realize the value and desired outcomes of its services. The service concept can best be described as the way in which an organization would like to have its services perceived by its stakeholders. [i] It describes the non-tangible aspects of service delivery and is an integral part of the value proposition of service providers. Whereas with tangible objects the final product is mostly the sum of its parts, this is certainly not the case with services. Various studies have shown that users tend to see a service as a ‘whole experience.’ For example, a day at Disneyland’s Magic Kingdom is more likely to be defined by its visitors as a magical experience rather than six rides and a burger in a clean park. [ii] The service concept facilitates this holistic approach by providing a detailed description of what is to be done for the user (what needs and wishes are to be satisfied) and how this is to be achieved. 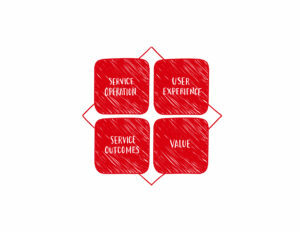 [iii] As such, the service concept can be a major driver for the Service Design phase of (new) services. Value: the benefits the user perceives as inherent in the service, weighed against the cost of the service. The service concept plays an important role in determining the Service Automation strategy for organizations, and the subsequent design and development activities. It is positioned as a high-level and overarching concept that gives input to the overall strategy of the service provider. Why is the Service Concept important? One of the most distinctive characteristics of services is their process-oriented nature. Each service can be seen as a chain of activities that help a service to function effectively. [v] For example, a package delivery service consists of a number of activities that need to be executed in a predetermined order. First, you need to register your package with the shipping company. Next you print the package label and attach this to the shipment item. Finally the courier will pick up the package and subsequently ensure that it is delivered at the designated address. Each of the activities mentioned is part of a larger (again holistic) process that constitutes the whole service. Because each activity contributes to a singular outcome of a service (in this example the shipment of the package from A to B) the service concept of any organization needs to take into account that its potential to deliver value is only as good as its weakest link. If any of the activities in the sequence fail, the user will have a very poor user experience because the desired outcome of the service is not achieved. Almost every service provider delivers not one, but a variety of different services, which can all be considered as separate processes of value creation. Service organizations do, however, only have one service concept, which functions as an overarching directive to all other services. It is the glue that binds the individual services of an organization together, aiming them towards the common objectives of the service concept. As such, the service concept aligns an organization’s service offering towards a common direction by setting overall goals and objectives that apply for the complete collection of services. This is especially so in larger organizations, which offer a variety of different services, where establishing a uniform service concept greatly helps in determining and setting priorities. The primary goal of the Service Concept is to determine the desired service outcomes and value of a service provider, which is subsequently incorporated into the design of the organization’s various services. A firm that delivers accountancy services, for example, might have a service concept that concentrates on national delivery (service operation) of various accounting services (value) that comply with all relevant rules and regulations (service outcomes) and that primarily focuses on online delivery (user experience). Although this is an extremely abbreviated example of a service concept, it can set the direction for all services of the accountancy firm. Each of the organization’s accountancy services, which are all individual processes, can be related and designed based on the service concept. Ultimately, the service concept might form the foundation upon which organizations can start managing their service portfolio, which is the collection of various services a service provider offers. [i] Heskett, James L. Managing in the service economy. Harvard Business Press, 1986. [ii] Clark, Graham, Robert Johnston, and Michael Shulver. Exploiting the service concept for service design and development. New Service Design. Sage, Thousand Oaks, CA (2000): 71-91. [iii] Edvardsson, Bo, and Jan Olsson. Key concepts for new service development. Service Industries Journal 16.2 (1996): 140-164. [iv] Johnston, Robert, and Graham Clark. Service operations management: improving service delivery. Pearson Education, 2005. [v] A. Johne and C. Storey, New Service Development: A Review of the Literature and Annotated Bibliography, European Journal of Marketing, 32/3-4 (1998), pp. 184-251.